After years of not being about to beat Neil at a running race, Graeme turned his hand to triathlon. He has since represented NZ at 3 x ITU World Championships, competed in 12 Ironman’s, was Age Group Champion at Ironman UK and has been to the big Island of Kona, Hawaii twice. He also recently took out the 2017 National title in the 35-40 AG at the Long Course National Championship in NZ with a 4:07 half Ironman 70.3. Qualified with UKA and BTA, Graeme’s easy going coaching style brings a wealth of knowledge and experience to Embrace camps. Despite being reminded from Graeme that he is now in the veterans class, Neil continues to get faster and faster through his methods and commitment to training. He recorded a 2:35 marathon in London (2016) placing him in the top pack in his AG. As a side-kick in Duathlon, Neil has reached the podium at the ETU Duathlon Championships. 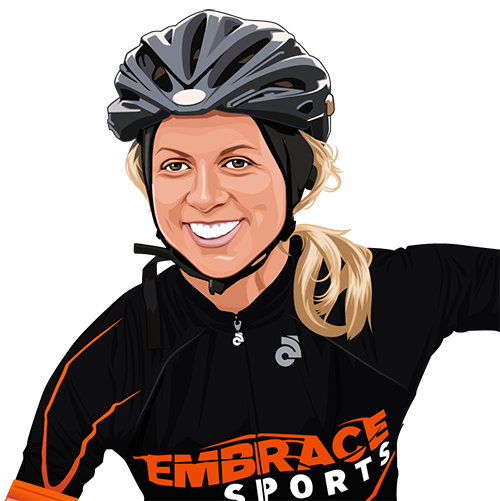 Also a UKA and BTA Coach, Neil produces some amazing results with athletes on Embrace training holidays. 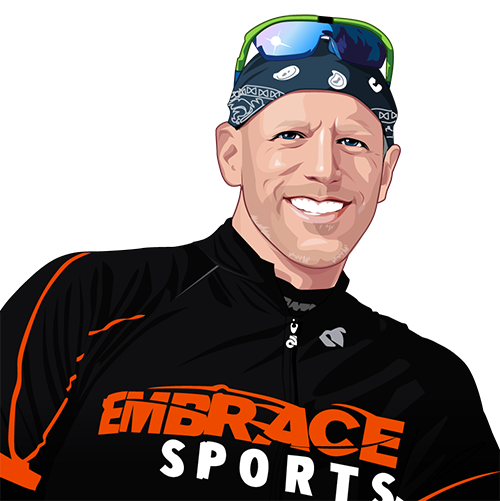 Eric joins Embrace with his wealth of knowledge in triathlon having competed for 13years including 10 Ironman’s to his name. 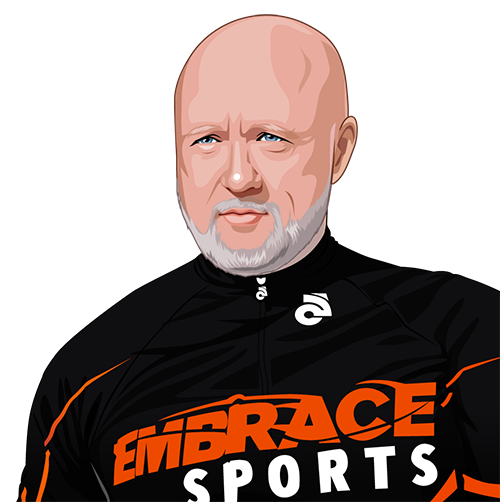 Eric is also a highly recognised triathlon coach and has developed his athletes to the highest levels. 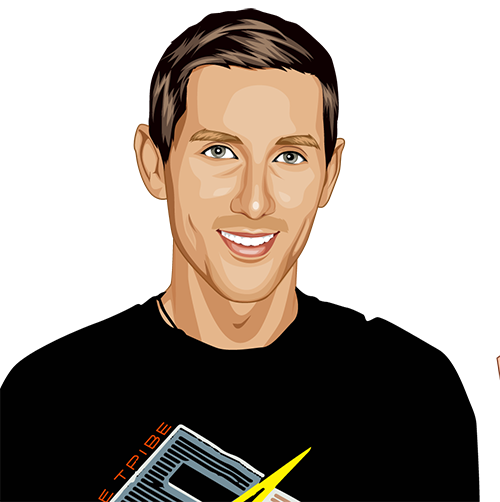 Eric is a Certified Personal Trainer, Newton Natural Running™ Certified Coach and a USAT Coach. His enthusiasm and encouragement makes him a real asset on the Embrace training holidays. Andy O is Embrace’s Jack-of-all-trades kind of guy. As well as being a competitive age-grouper, Andy’s knowledge in running and triathlon is well worth your attention at the dinner table. Andy’s bike mechanical skills also ensure guests have the right positional set-up and are rolling smooth throughout the week. 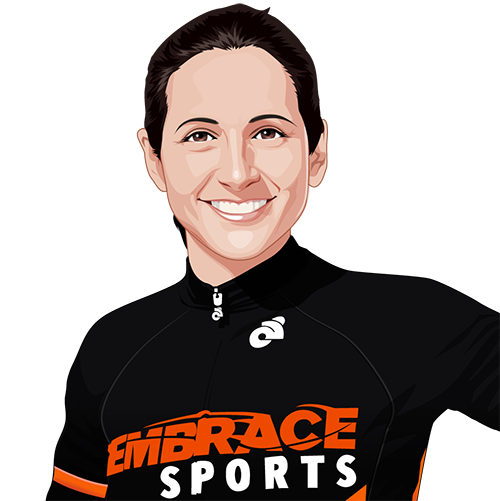 Kat-Attack is one of those Energizer bunnies that creates a contagious energy for all those around her! Her caring and selfless nature makes her a real asset on Embrace holidays. Recently she was apart of the winning girls team (along with Lucie above) at Challenge Roth 2013 beating some of the big name clubs around Europe. Alan has been involved with coaching, training and competing in running and triathlon for a number of years. The only thing that beats his knowledge of the sports is his ability to turn the Embrace kitchen into a culinary cooking show! Alan has a lot of knowledge to offer guests having competed in The Norseman Triathlon, Ironman Austria and Challenge Roth (with a sub 9:30) along with multiple marathons. Dan will admit he was a late starter in Triathlon, but with some healthy sibling rivalry and a Tri on his birthday he took the plunge, he was immediately hooked. Since then he’s Represented GB as an age-grouper at the ITU world championships and ETU European Championships. 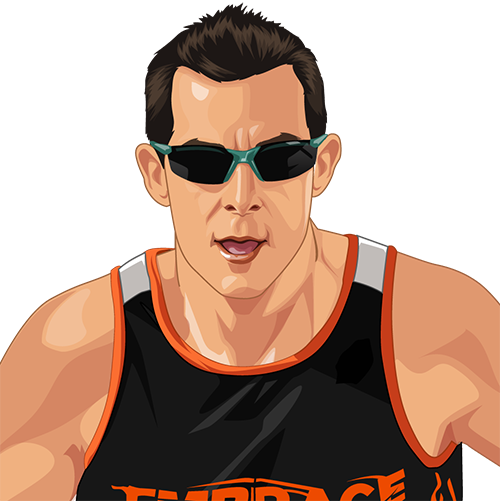 He’s is very enthusiastic about Triathlon whether it be coaching for, or racing in. It’s definitely worth a chat with him if you have any questions about Tri. 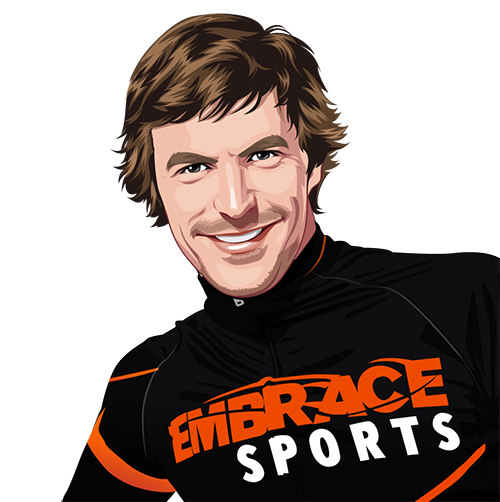 Dan is a qualified Triathlon England & British Cycling coach. 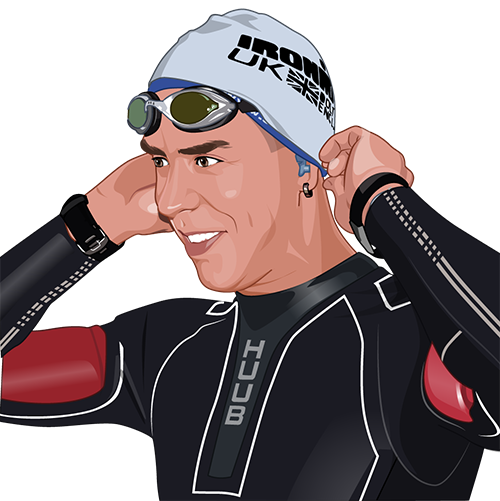 Hamish enjoys training and racing across all variations of swim, bike and run whether it’s triathlon, trail running or open water swimming. In triathlon Hamish has podiumed representing Australia at the ITU Age Group World Championships. He’s represented Great Britain as well but as a proud Aussie prefers to keep this quiet! 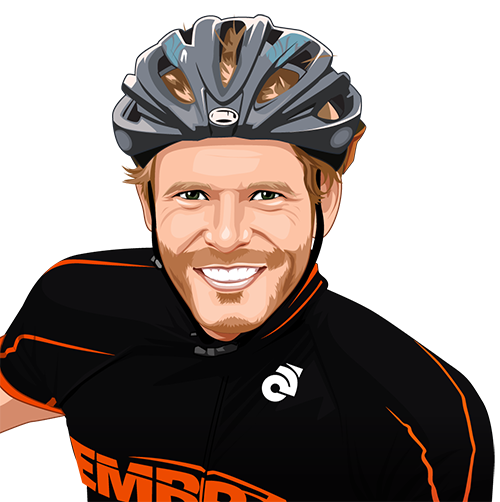 He’s also competed in the Kona Ironman World Championships alongside Embrace coaches Graeme, Alan and Lucie.